Head-On Collision Lawyer - Seattle, WA | Davis Law Group, P.S. According to the Fatal Analysis Reporting System (FARS), 18 percent of fatal car accidents not involving an interchange or junction were head-on collisions. The majority of these collisions happen on rural roads, where there is often no center divider or drivers believe they can pass by crossing the center line. The higher rate of speed on this type of road in rural areas greatly increases the fatality statistics for head-on collisions; while these crashes do happen in urban areas, they are far less likely to be fatal because traffic speeds are usually lower. Most head-on collisions result from "unintentional" driving maneuvers; a driver may take a curve too fast, overcorrect, fall asleep, get distracted, lose control of his or her car, or make some other misjudgment behind the wheel. Head-on collisions can happen when a vehicle crosses the center line of a roadway into oncoming traffic or when a vehicle turns the wrong way down a one-way street. Many head-on collisions happen when drivers are not paying attention to the road around them; they may be attempting to pass another vehicle, driving on unfamiliar streets, or operating their vehicle while drunk, high, drowsy, or otherwise impaired. What Makes Head-On Collisions So Dangerous? When an object is at rest, it will only move when force is applied to it. When one car traveling at 35 miles per hour slams into another that is stopped, the force required to keep the first car moving at 35 mph is transmitted into the second car. When two cars traveling at 35 miles per hour slam into each other head-on, the force that each driver will feel is equivalent to the force of slamming into a stopped car at 70 miles per hour. This means that when two cars are traveling at high speeds, the force involved in a head-on collision is much more likely to cause catastrophic injuries or death. Accidents With Drunk Drivers: Alcohol and drug use are often involved in head-on crashes because drivers who are drunk or on drugs can become distracted. Additionally, reaction time is slowed when a driver is impaired, making it difficult to navigate turns and react to other challenges. Distracted Driving Accidents: Drivers who are not focusing their attention on the road increase the risk of a head-on collision. Failure to pay attention for even a second can have fatal consequences. Weather Conditions: While statistics show that weather does not play a prominent role in head-on collisions, snow and ice can have a serious impact on a driver’s ability to stay in the proper lane. Drowsy Or Fatigued Driving Accidents: Scientific studies show that drowsy or fatigued driving can have worse effects on a driver’s abilities than being under the influence of alcohol or drugs. 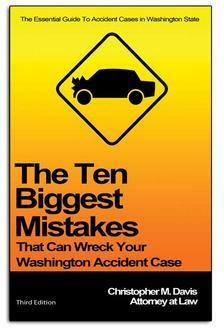 Large truck accidents are almost always serious and/or fatal, and especially head-on collisions. Head-on wrecks were responsible for more fatalities of passenger vehicle occupants than any other type of truck crash in 2015, according to the Insurance Institute for Highway Safety. During that year 607 people in passenger vehicles died in head-on crashes with trucks. That made up 29 percent of all deaths in crashes between a truck and a passenger car. In large truck crashes, it’s important that you and your family exhaust all avenues for possible financial recovery. With damages often so high, consulting with a personal injury lawyer may be the best option to get the compensation you deserve. Head-on collisions involving motorcycles are almost always fatal. In fact, collisions with other vehicles cause over 55 percent of motorcycle deaths, the majority of which result from head-on collisions. Studies show that oncoming cars hit the front of motorcycles in 78 percent of accidents, making it the most common type of motorcycle crash. Compare that to the likelihood of being rear-ended on a motorcycle, which occurs just 5 percent of the time. What Can Be Done To Prevent Head-On Collisions? Drivers should always be awake, alert, and unimpaired. If someone suspects that their judgment behind the wheel may be reduced, they should find a designated driver; use a rideshare, taxi, or public transit; or stay off the road until they're able to drive safely. When possible, two-lane roads should have central rumble strips, wide cross sections, median barriers or a "buffer median" between oncoming lanes. This will give drivers who are drifting out of their lane more time to react and return to their lane--and in a high-speed collision situation, a fraction of a second more time may be enough to prevent a catastrophe. Roads should be kept as free as possible of ice, snow, and other slick substances. Skid-resistant pavement can increase cars' traction on the road. Highways and other high-speed roads should be built with reducing the risk of head-on crashes in mind. Engineers should plan for wider shoulders to prevent over-recovery; curvature, superelevation, and widening through the curve on horizontal curves; and rumble strips before dangerous areas. If you or a loved one has been seriously injured in a head-on crash, you should consult with an experienced personal injury attorney to learn more about your legal rights. 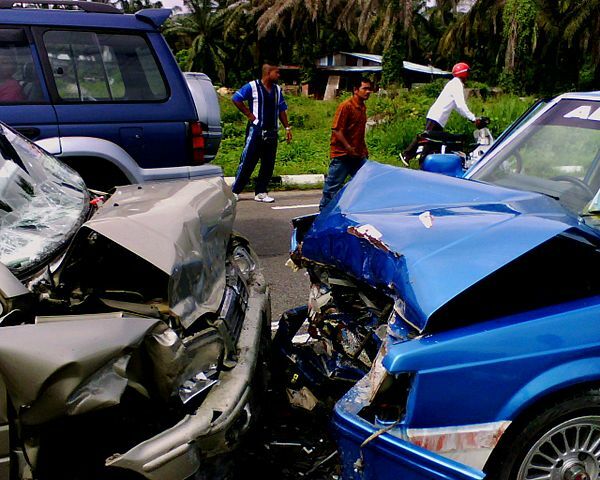 The legal team at Davis Law Group is standing by to review your head-on car accident case free of charge. We will meet with you for a free legal consultation to explain exactly how we can help increase the value of your case and the chances of a successful outcome. Call our office in Seattle at (206) 727-4000 or use the confidential contact form on this page to get started with the case review process. "Davis Law was phenomenal....I can't imagine a better partner. " -Christopher C.